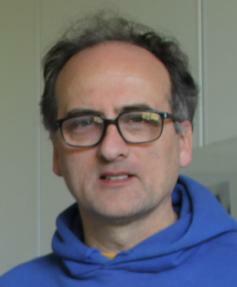 Alberto Nannarelli is an associate professor at the Technical University of Denmark. He graduated in electrical engineering from the University of Roma "La Sapienza", Italy, in 1988 and received the M.S. and the Ph.D. in electrical and computer engineering from the University of California at Irvine in 1995 and 1999, respectively. He worked for SGS-Thomson Microelectronics and for Ericsson Telecom as design engineer and for Rockwell Semiconductor Systems as a summer intern. From 1999 to 2003 he was with the Department of Electical Engineering, University of Roma "Tor Vergata", Italy, as a post-doc researcher. His research interests include computer arithmetic, computer architecture, and VLSI design. Steering Committee Board member for the IEEE Symposium on Computer Arithmetic (2015-18). Associate Editor for IEEE Transactions on Computers (2011-16). Program Chair for the 21st IEEE Symposium on Computer Arithmetic (April 2013). Program Committee member for several conferences.